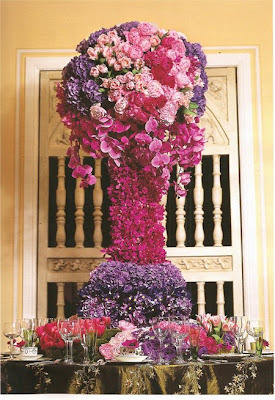 I am so in LOVE with this stunning floral masterpiece that Bella Flora created for a recent photo shoot submission for Grace Ormande magazine. Isn't it almost surreal???? I just love all of the beautiful textures and gorgeous monobloom clusters and the sheer size in itself is enough to make anyone's jaw drop in awe! Check out more fabulous blooms here on the Bella Blog and then head over to the Bella Flora website for even more lovely artistic floral creations.